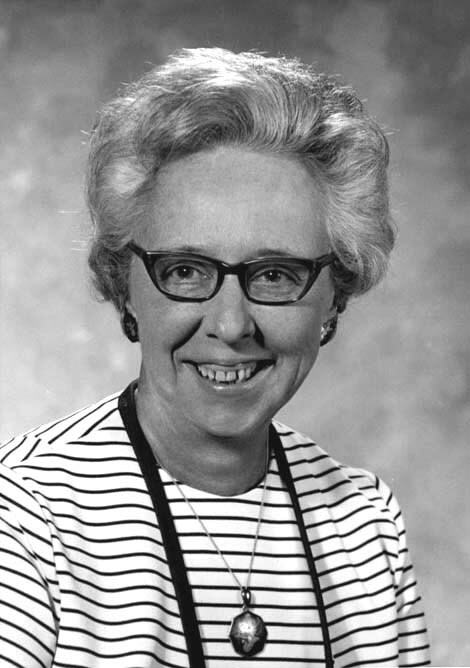 Isabel Harris, dean of the School of Nursing from 1969 to 1975, passed away on March 2, 2008. The beginning of her tenure as dean at the School of Nursing coincided with the formation of the Academic Health Center and the reorganization of its six schools and colleges including the School of Nursing. Dean Harris was the first woman dean of an academic unit at the University of Minnesota. Prior to the reorganization in the health sciences, the School of Nursing was a unit of the College of Medical Sciences and lead by a director. Originally from Michigan, Dean Harris’ early career focused on psychiatry nursing and institutional care. She earned her diploma in nursing from Johns Hopkins after earning a BA from the University of Michigan. 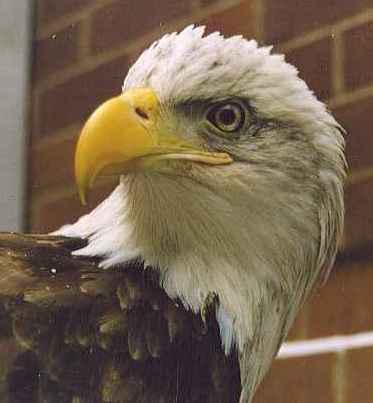 During World War II she served in the Johns Hopkins medical unit in Australia. After her service she returned to Michigan for a year and then was invited by Katharine Densford, Director of the School of Nursing, to come to Minnesota to help establish a program in psychiatric nursing. Harris earned an MEd and PhD at Minnesota and later specialized in nursing administration and education. During her time as dean, Harris focused on growing the nursing program through increasing student retention, hiring talented faculty, and working toward the expansion of space. Dean Harris finished her term as dean in 1975 and retired from teaching in 1981. The School of Nursing moved into its new building (Unit F/Weaver-Densford Hall) that same year. In an interview conducted with Dean Harris in 1999 she stated that “I’d always wanted to be a nurse or at least since I was five years old.” Her devotion and commitment to the profession and the University are reflected in the School of Nursing today. 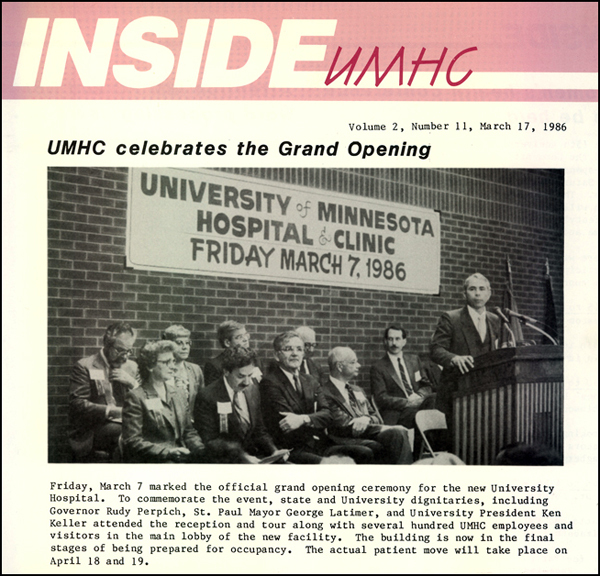 This week marks the twenty-second anniversary for the grand opening of the University of Minnesota Hospital, conceptually known as Unit J, and now known as the University of Minnesota Medical Center, Fairview. When the $125 million, 566,000 square feet hospital opened in 1986 it held 432 beds, had 18 operating rooms including a transplant suite, and housed the Variety Club Children’s Hospital on the fifth floor. Eight-five percent of the patient rooms had a view of the Mississippi River. The opening week festivities for the new hospital also included a commemorative time capsule to be opened in 2086. First proposed in the 1968 health science precinct plan, Unit J provided a centralized hospital facility that would replace many of the services offered in the Mayo Medical Center and other buildings. It is located on the former site of Powell Hall originally a dormitory for nurses.